Victor is an island in the Mediterranean Sea with high hopes. He wants to be a volcano and burst with fiery pride, but how? He must go on a journey of discovery to find out the secrets of how volcanoes dance and sing. 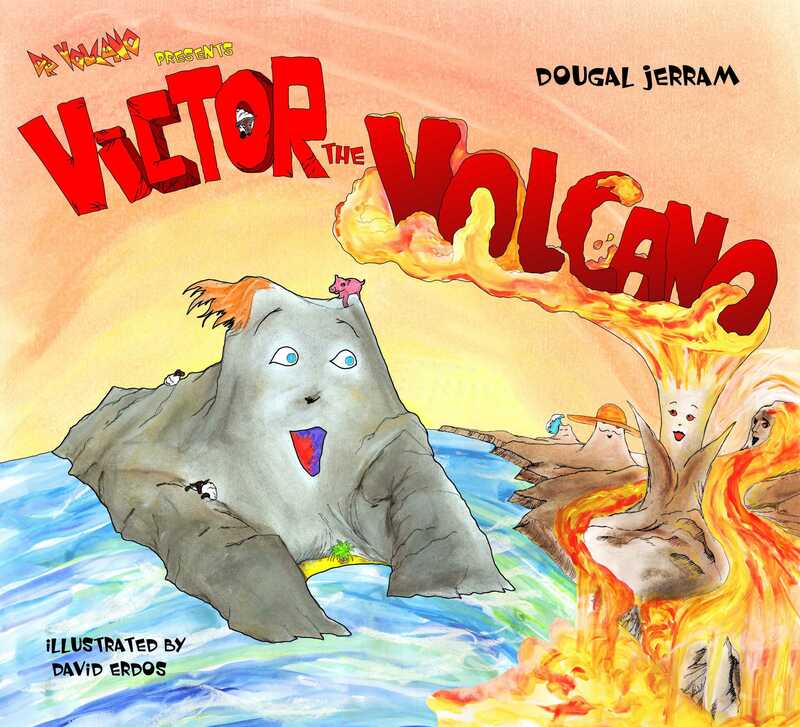 This tale follows Victor on a colourful and explosive journey that introduces children to the wonderful world of volcanoes and where they are found. Author Dougal Jerram, a Professor in Volcanic Rocks, has used his expertise and passion to bring volcanoes to life for young children. The learning pages in the back of the book include a map of the world showing the continents where the volcanoes that are featured in the book are located and the Inside the Volcano explains the internal workings of a volcano. A great story with a valuable education message for children and a useful guide for both parents and teachers. Sir Tony Robinson: actor, writer, TV presenter. I was commanded by my daughter to read this book for a few consecutive nights, she loved it so much. It is packed with excitement and adventure. The mountains have human like quality with fire coming out of their heads giving them golden crowns of glory. Highly recommended! – Amazon customer.